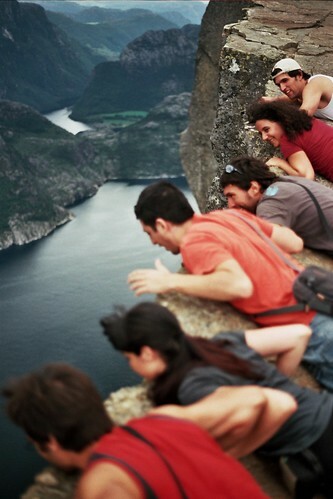 Every year, thousands of hikers take a two-hour ascent at the southern tip of Norway to reach a destination called Preikestolen. 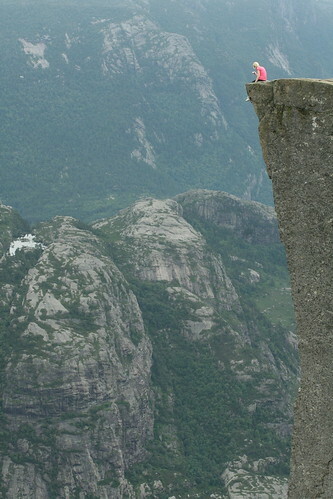 Known in English as Pulpit Rock, the 1,982-foot-tall (604 meters) granite cliff offers one of the most spectacular views of an epic landscape carved by Ice Age glaciers. 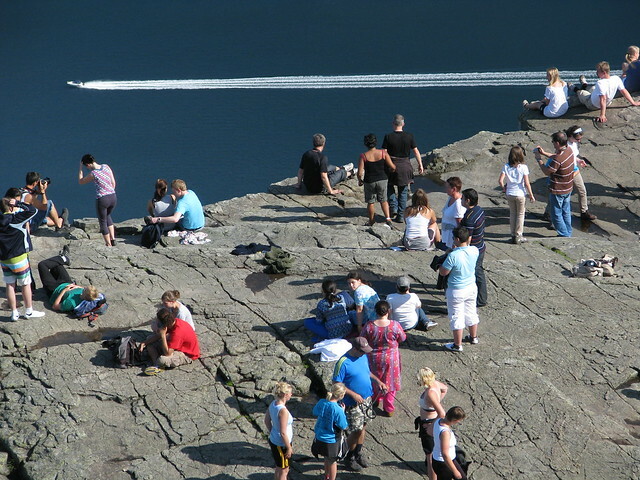 Visitors enjoy an overlook unobstructed by railings, so many of them scoot to the edge for a thrilling experience above the scenic fjord, Lysefjord, and boats passing by. 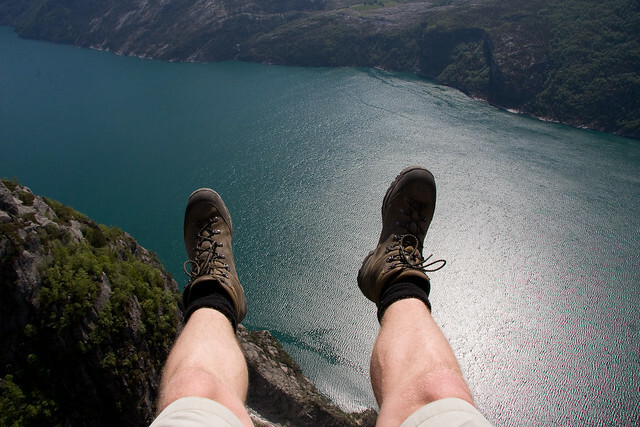 See more photos of Pulpit Rock in Norway. Photos from Saffron Blaze, zapica, Madame Knipse, kalevkevad, and Rob Minson.